The Gormleys Fine Art exhibition at the RDS includes the largest collection of Andy Warhol's work to be shown in Ireland. The largest selection of Andy Warhol’s work to be shown in Ireland has been unveiled in Dublin. 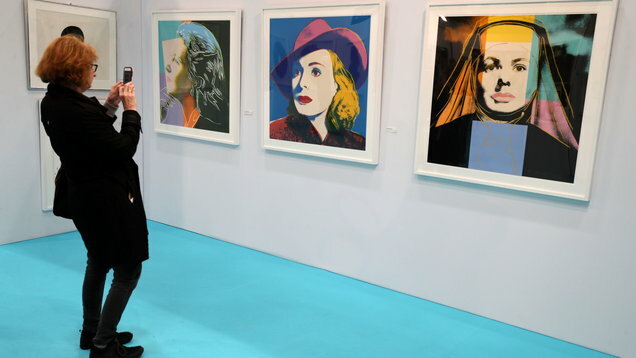 The one million euro (£871,000) wall of pop art is on show at Art Source, which runs until Sunday at the RDS. Gormleys Fine Art has curated Warhol’s work as part of a 12-piece collection of American pop art with a combined worth into seven figures at the fair. The pop art wall features a rare iconic collection of Ingrid Bergman prints by Warhol as well as works by Roy Lichtenstein, Tom Wesselmann, Robert Indiana and Jean Michelle Basquait. The complete and rare Bergman portfolio consists of Herself, worth 60,000 euro (£52,270), Bergman with Hat with a value of 85,000 euro (£74,040) and Ingrid The Nun at 40,000 euro (£34, 840). “The pop art market is very strong and Warhol’s pieces have increased in value by an average of 5-10% per year over the last 30 years,” said Gerard Gormley, manager of Gormley’s Fine Art. Gormleys is also displaying a rare Warhol screen print of Beethoven valued at 140,000 euro (£121,958) and last week sold an edition of Banksy’s Girl With A Balloon for 165,000 euro (£143,736). Despite Warhol’s popularity, a new pop-artist based in Dublin was close to stealing the show. Cavanagh Foyle, a former aviation lawyer, has gained an international following for her provocative and colourful mixed media paintings. “The majority of my work here is called The Skin Series, which takes the form of the stereotypical social media model,” she said. “I’m obsessed with social media, I like taking the whole ‘perfect’, false perfectionism and having some fun with that. Foyle, who only left her job this year, has enjoyed major success in the US and says bucking the traditional art route has been beneficial to her and is becoming more common among young female artists. “I’ve had huge interest from LA and sent paintings over there,” she said. “For me, when I quit my job, I really didn’t know where to start, I don’t know if traditional galleries are ready for this kind of pop art. 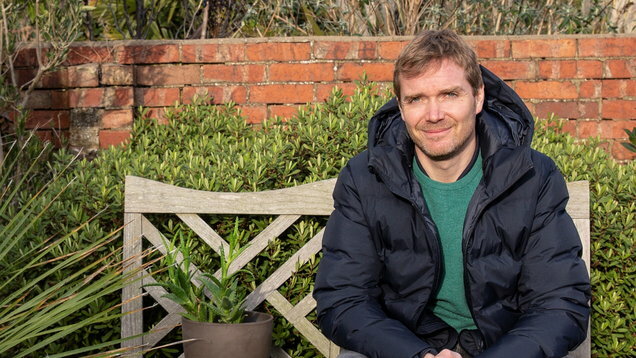 “Then Brown Thomas gave me an opportunity to show some of my art there and I realised maybe it doesn’t have to be galleries, there are opportunities everywhere. “I think its the way forward for my art, there’s a few female artists I admire who are doing it themselves, not going through galleries, and killing it, having huge success. More than 15,000 people are expected to view the exhibits from artists across all genres at the event.